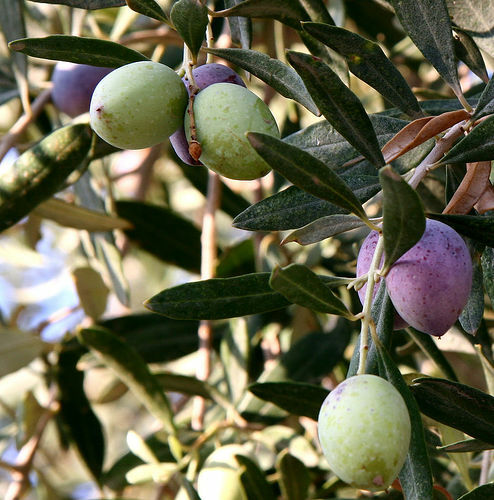 The wonderful benefits of Olive Oil for the skin have been well researched. Olive Oil is high in antioxidants as well as Vitamin E and Vitamin A. Due to the high amount of Vitamin E content, it can be used topically for acne, scars, stretch marks and also as a hair treatment. Olive oil does not clog pores and can be used in acne scars to help heal without the disadvantage of causing new ones to appear. For a wonderful spa hair treatment, simply massage about 1/4 cup of warm olive oil into your hair and let it sit for 30 minutes. Shampoo thoroughly and dry and style as usual. The olive oil will leave your hair soft and silky. Olive Oil is also high in oleic acid as well as Vitamin E which makes a very moisturizing soap. These qualities contribute to a soap that does not irritate sensitive skin or dry and mature skin. The high antioxidant qualities of soaps with olive oil help the skin retain moisture and keep your skin well-nourished. Olive Oil that is the primary and only ingredient used to in a soap formula is what is known as Castile Soap. Soap that is plain with no added scents would be perfect for skin that is sensitive to conventional soap as well as for young skin such as babies. Olive oil contributes the properties of small bubbles and a very stable lather as well as all making a very moisturizing soap. So, what’s in the soaps that you use ? How Many Kinds of Lavender Are There?